This investigation by Amelia Gentleman at The Guardian is on the shortlist for the European Press Prize 2019 in the category 'Investigative Reporting'. Renford McIntyre in the industrial unit where he lives. ‘I’ve been here for 50 years’: the scandal of the former Commonwealth citizens threatened with deportation from the UK. They have lived nearly all their lives in the UK, working and paying taxes. But in the draconian new immigration climate, an increasing number of elderly people are being told that they are here illegally. 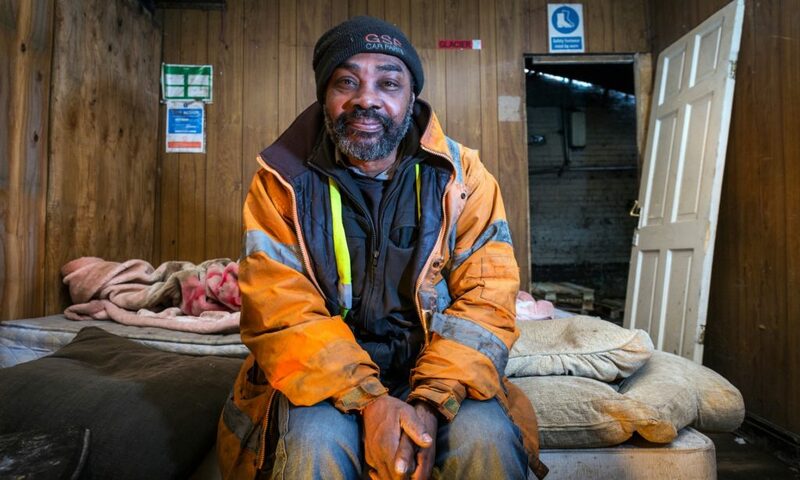 For the past year, Renford McIntyre has been homeless, mostly sleeping on a sofa in an unheated industrial unit in Dudley. Although he has lived in the UK for almost 50 years, and spent 35 years working and paying taxes as a tool setter, a delivery man in the meat industry and an NHS driver, he has been told that he is not British – and consequently is neither permitted to work nor eligible for any government support. McIntyre, 64, has no shower and nowhere to cook, and has to visit friends if he wants to eat hot food or wash. “It’s an appalling place to live. I’m a proud man; I’m embarrassed at my age to be living like this,” he says. He was surprised and confused to be told he was not British. He arrived in the UK in 1968 by plane from Jamaica. He was 14 and had come to join his mother, who had come over to become a nurse, and his father, who was working as a crane driver. “I’ve been here for almost 50 years, I’ve worked night and day, I’ve paid into the kitty – but now no one wants to help me,” he says. In 2014, a routine request from his final employers to update paperwork revealed that he didn’t have a passport and had never naturalised in the UK. He was sacked. Unable to find new work without papers, he became depressed, and then homeless. Dudley council said he was not eligible for emergency housing because he had no right to be in the country. Similarly, he has been told he cannot sign on for benefits. He has gathered together paperwork showing 35 years of National Insurance contributions, with the support of the Refugee and Migrant Centre in Wolverhampton, but the Home Office has returned the application, requesting further evidence. “It makes me so angry. I’ve always worked. I’m a grafter. I can’t explain how bad it makes me feel,” he says. McIntyre is part of a largely invisible group of people who arrived in the UK as children from Commonwealth countries more than half a century ago and grew up here believing themselves to be British, only to discover recently, in a newly hardened immigration climate, that they are without the necessary papers, and unable to prove their right to be here. The scale of the problem is only just emerging as more long-settled, retirement-age individuals come forward with details about brutal treatment at the hands of the Home Office. Recently, the Guardian highlighted extreme cases of people who have been sent to immigration removal centres, and prepared for deportation to countries they have not visited since childhood. 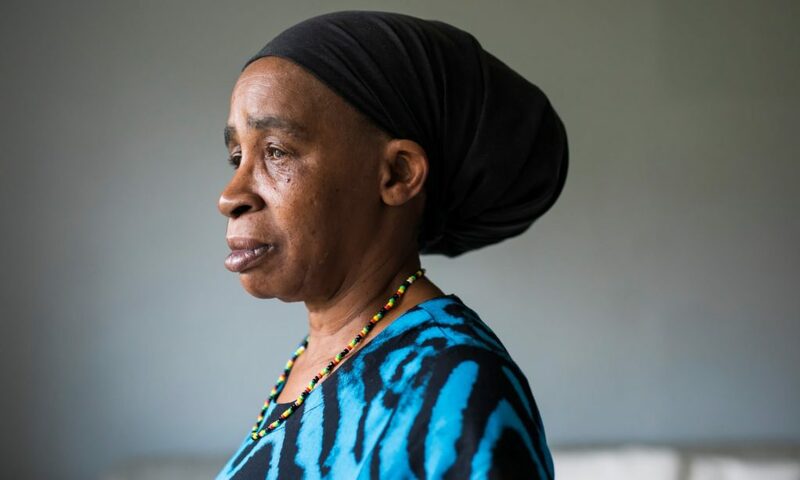 Paulette Wilson, a former cook who served food to MPs in the House of Commons, was sent to Yarl’s Wood immigration removal centre last October and taken to Heathrow for deportation to Jamaica, a country she has not visited since she was 10 (51 years ago), and where she has no surviving relatives. A last-minute legal intervention prevented her removal, and following media coverage, she has been granted a residency permit. A number of others in similarly difficult positions have since come forward. Some, like McIntyre, have been made homeless by the Home Office’s refusal to accept that they have a right to be living here; others have opted to live a life beneath the radar, to avoid deportation; while others have struggled to get cancer treatment, amid questions over their eligibility for NHS care. High commissioners of Commonwealth countries are concerned about the number of elderly former Commonwealth citizens, who have been here since childhood, facing similar problems and have called on the UK government to show more compassion. Griffith has found herself in an impossible situation. Because her status as a British citizen was under question, she was unable to work and could not travel. When her mother became sick in Barbados in 2016, Griffith was unable to visit her; when she died, she could not attend the funeral. She has been under pressure from the Jobcentre to find work, but every time she successfully interviews for a job, employers cannot take her on because she has no passport. Without work she has got into thousands of pounds worth of arrears on her flat in London, and narrowly escaped eviction before Christmas. She has been trying to resolve her predicament for years, repeatedly crashing up against Home Office intransigence. In a last-ditch attempt to solve the situation, she spent five hours waiting in a Home Office processing centre on 27 December, to be told that although officials believed her claim was valid, she was “not on the system”. A letter stated that new checks needed to be made, adding: “Please note it is no longer possible to make an enquiry in person. Please telephone the number on this letter in the first instance if you need to contact us.” There was no telephone number on the letter. Griffith’s problems began a few years ago when she sent off her Barbadian passport, which had a leave-to-remain-in-the-UK stamp inside, to an agency as part of a job application. In due course, the agency sent back the passport, but it never arrived. When she finally managed to find someone to talk to at the Post Office, Griffith was told that the postman had been mugged, and all that day’s post stolen. Attempts by Jeremy Corbyn, her MP, to untangle the situation came to nothing, and after three years trying to find a solution she was beginning to lose hope. But when I contacted the Home Office, staff said she had been “issued with documentation confirming she has indefinite leave to remain here”. Shortly before publication on Wednesday morning a package arrived at her flat with papers authorising her stay. She said she was in tears of relief (and gratitude towards the Camden Law Centre for their help), but also furious at the prolonged ordeal. “I feel a sense of anger because of the humiliation I’ve had to go through to get something which should have been my right. I don’t think the Home Office realise how much I’ve suffered,” she said. Hubert Howard, 61, has had a similarly traumatic experience. He travelled to the UK from Jamaica with his mother when he was three, and has never lived anywhere else. He, too, was first mystified and later enraged when he was told six years ago that he was an illegal immigrant with no right to live here. Because the Home Office had ruled him illegal, his employers, the Peabody Trust, were obliged to make him redundant, despite the fact that he was a trusted and highly regarded employee who had been with them for a decade. The years he spent working as a maintenance worker for British Rail, a plumber and later as a senior caretaker for the housing association, and the tax he had paid over 35 years of working life, counted for nothing. 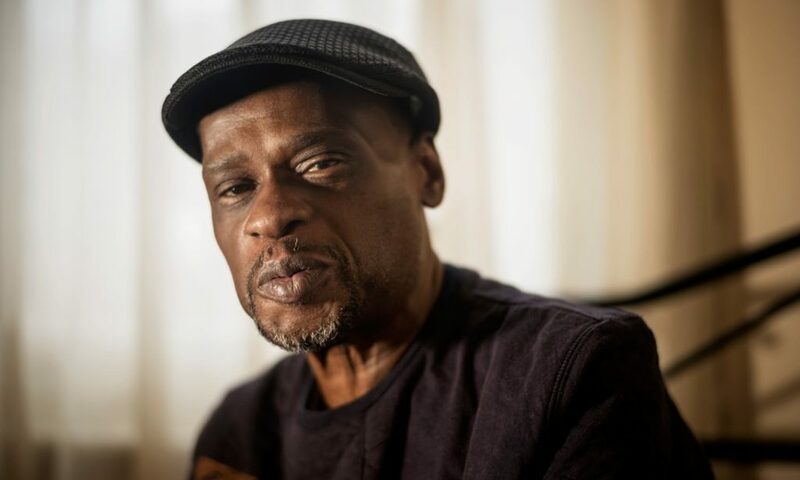 His mother returned to Jamaica when she retired, and Howard’s problems emerged when he wanted to visit her urgently when she became ill in 2005. He applied for a passport, but his application was rejected because he had never naturalised. He hadn’t known that this was necessary. His mother died without him seeing her in 2006. Since losing his job he has battled to get unemployment benefits. To begin with he thought he would be back in work quickly but he soon realised that it was going to be impossible without papers. In 2013, he received a letter from the Department for Work and Pensions saying he was not entitled to benefits because he had no status. In 2015, he received a letter from the government contrator Capita telling him he had no status, and informing him that he needed to leave the country. Howard, McIntyre and Griffith all have a legal right to stay in the UK because the 1971 Immigration Act gave people who had already settled in Britain indefinite leave to remain, but all have struggled to gather enough documents to convince the Home Office that they arrived before the cut-off point. “They basically messed up my life,” Howard says. “I had a steady job. They took my job away, stating quite clearly I had no status in this country. It broke my heart losing my job with Peabody. It was the best job I was ever in. When my mum passed away, I wasn’t there, and I still have not been at her graveside. I haven’t left the country since I was four, not even to go to France or Ireland.